Announcing our New Release – OpenLM 4.5! We know you always look forward to our new releases and the improvements they bring to managing your licenses. We are delighted to announce new capabilities both in product management and operations. While many are under the impression that license management for cloud products is not necessary because it is pay-per-use software, this is not strictly true. For those of you who have been grappling with usage and licenses for ArcGIS Online and Autodesk Cloud, this new release will help you manage these products in tandem with your other more conventional licenses. Then, while it is not strictly engineering software, but is found and used in every organization, we now offer license management for Adobe Cloud and Microsoft 365.
all supported with comprehensive reporting. Embedded licenses are becoming more and more common. Following requests from you, our customers, we can now support Flexnet Embedded (FNE) that has XML API enabled such as Avid or Nvidia. For our oil and gas customers, we are pleased to tell you that you can now save and close instances of Harmony, Kingdom and Petra applications. We would welcome any organizations who want to be beta testers for this enhancement. We have cut down on that tedious wait at start-up and while performing certain analyses, which will make everyone happy. limiting the number of login attempts, and blocking access after several failed attempts. Some of our customers were experiencing synchronization problems when using LDAP and Active Directory. These problems were volume-related and we strengthened the application to support LDAP synchronization for over 10 000 users. We invite you to sample Release 4.5 and see how it assists you! Scientific breakthroughs in healthcare are increasing daily. However, the costs of new drugs and devices are prohibitive and making them available can take years before they are approved by authorities such as the FDA. Traditionally, to gain approval for a new healthcare drug or device, it had to undergo comprehensive testing in three disciplines; bench tests (in vitro), animal tests (in vivo) and finally, clinical trials (in situ). This process can take a decade before a new drug or device is regarded as effective and safe enough to be brought to market. What is more, a large number of new products fail 90% of the way through the journey. The development of scientific software applications that can assist in and accelerate the process is bringing a new dynamic, helping to bring down costs while reducing the risk of failure of a drug or device. Simulation software provides a new means of testing any prototype healthcare device, and is becoming increasingly important in biomechanical research and is commonly referred to as in silico testing, referring to the silicon chips that are integral to any computer. 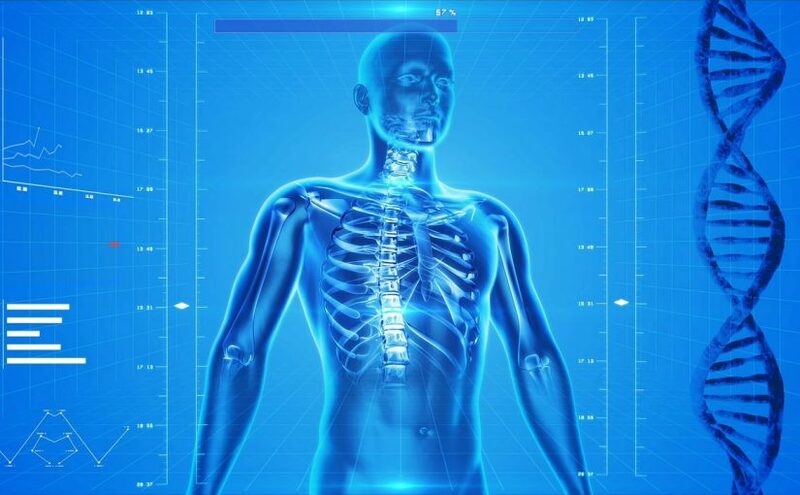 Software vendors such as Ansys have collaborated in integrating their software in healthcare modelling and simulation, assisting in breakthroughs in healthcare device development. Traditionally, software such as Ansys was developed for the engineering industry and is known as computer-assisted engineering (CAE). While CAE software that can perform functions such as finite element analysis (FEA) and computational flow dynamics (CFD) is what is needed for in silico testing, healthcare researchers are generally untrained in these disciplines, especially in the pharmaceutical industry. Ansys themselves speak of the need to “democratize” their software tools, making them accessible to all, not just the few researchers with the necessary training in mathematics and engineering. They have already made inroads on providing a product that can be used by anyone in healthcare. Surgeons can use simulation before an operation to assess the effect of a particular approach on a patient. Sales and marketing can demonstrate how a product functions via simulations. 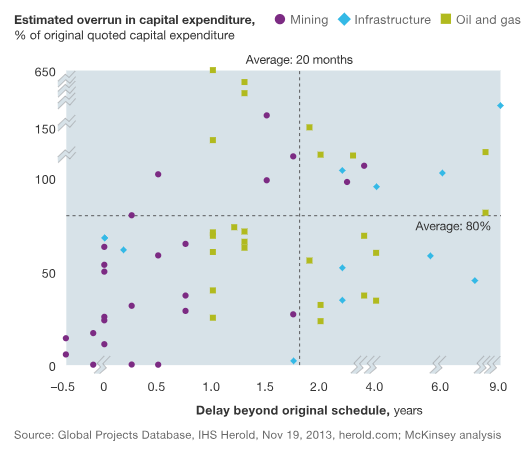 Even executives can use a simulation model to secure funding from potential investors. insurers are presented with visual evidence to help them make a decision about a patient procedure and how likely it is to succeed. Heart Disease. The medical world is focused on combatting cardiovascular disease, because it is the leading cause of death globally, according to the WHO. The traditional procedure of open-heart surgery is steadily being replaced by less invasive remedies, such as inserting a stent to regulate blood flow. CFD is invaluable in this field, from making more accurate diagnosis of the state of a patient’s arteries to manufacturing new stents that work more effectively than current models. Pulmonary Applications. New drugs can cost as much as $1-billion to develop, and those for respiratory diseases are the most expensive, because of the difficulty of testing the drug’s effectiveness in the field. Researchers are turning to CFD to simulate the movement of air through the respiratory passages. In silico simulation can reduce the cost of development by as much as 30% and halve the time to complete the testing. Dietary Supplements. It goes without saying that if a pill is too large and difficult to swallow, it will not be marketable. The ideal shape is as round as possible, but this affects the hardness of the pill, which in turn compromises the machinery punching out the pill and reduces the lifetime of the parts. Asahi in Japan have expanded their product range from brewing beer to providing dietary supplements. They used Ansys Mechanical to come up with a solution that saved them hundreds of thousands of dollars. There are many more examples of the use of simulation in healthcare available on the Ansys website, but these few give an idea of the diversity of applications that can benefit from CAE. So How Does this Affect the License Administrator? Up to now, CAE software has been used by specialists and experts, even in engineering, so there are usually only a few simulation software applications on site. 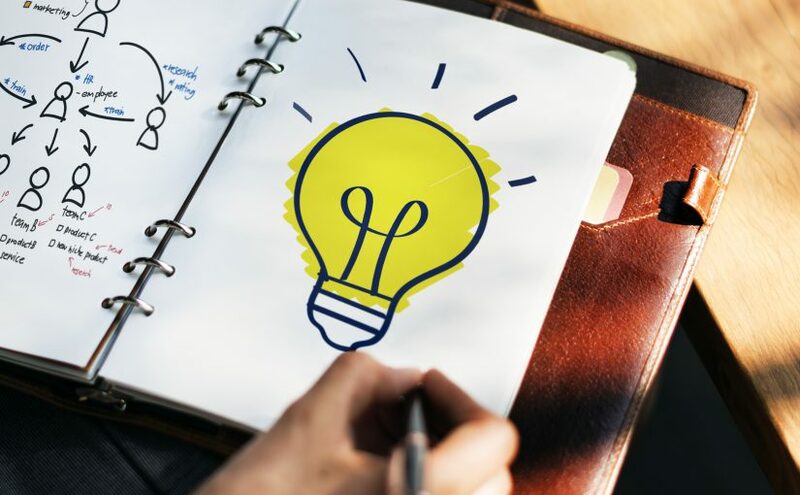 Now that Ansys is “democratizing” its product and making it accessible to people who are not skilled in modelling and simulation, the need for the product across the organization will increase, and so will the number of licenses required. Ansys provides FlexLM as a license manager, as do most of their competitors, notably Comsol and Dassault. 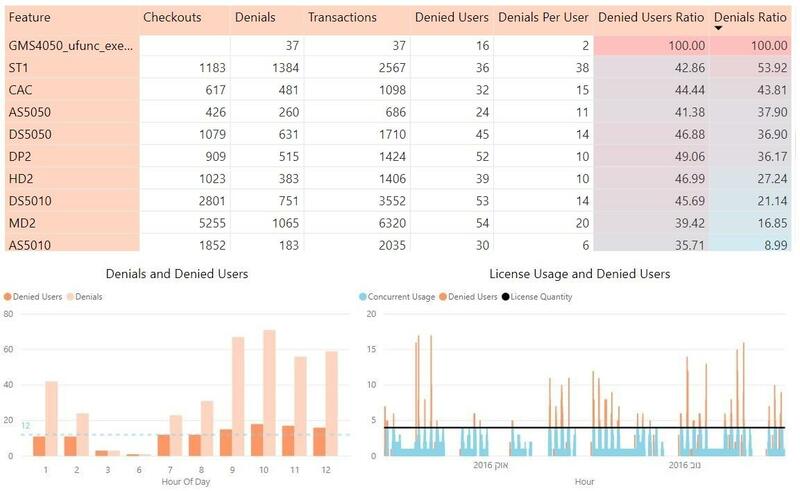 While FlexLM reports salient information on license usage, it is for the benefit of the vendor, rather than the customer. This is where OpenLM can play an important role, as it can provide all the control and visibility required to manage other licenses, such as MatLab, as well as Ansys, through a single graphical interface (GUI). 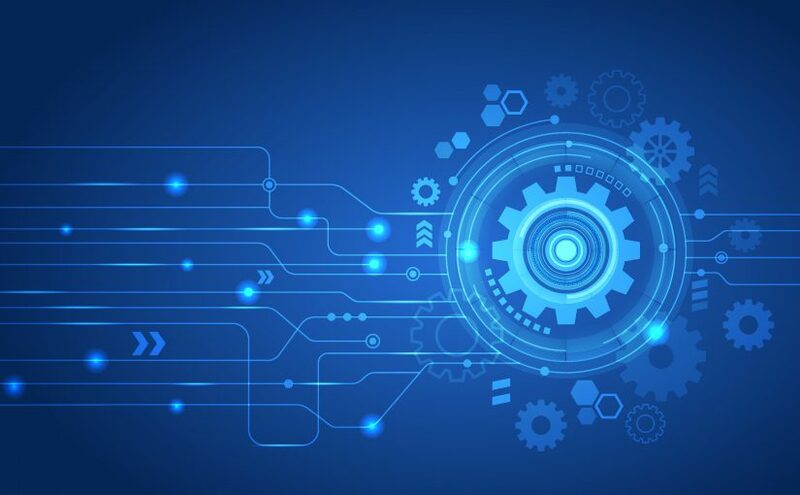 What is more, OpenLM’s core product can manage licenses for Nvidia GPUs (graphical processing units), which are being used by more and more organizations running simulation software, because of the reduction in time taken to process the information. Ansys has cooperated with Nvidia to make their software very scalable, for instance, for performing simulations, Ansys Mechanical can scale up to 1 000 cores as opposed to the industry standard of 100 cores, and can solve up to 2 billion DOF (degrees of freedom). Ansys’ CFD tool, Fluent, can scale up to 129 000 cores. OpenLM can also manage the Ansys “pay-as-you-go” licensing model, the “Elastic License”. This license can be used as a supplement to the regular Ansys agreement. It allows the customer to “top-up” where required, for instance, where there is a peak demand for a new project. It is a much more customer-friendly license model, in that it has reporting that supports departmental and project chargebacks. Where Ansys is leading currently, its competitors will surely follow suit. In a few years time, it is likely that specialized and rare CAE software will no longer be used by only a handful of finite element specialists, but by resources across the organization. Managing software such as the Ansys Workbench is just as easy as managing Autodesk products with OpenLM, as well as the GPUs required for the necessary processing power. One of our consultants can advise you on your unique situation. The design and manufacture of medical devices has changed dramatically in the last decade. The advent of 3D printing and software applications that enable simulation for testing concepts and prototypes enables organizations in this field to bring safer products to market more quickly than ever before. 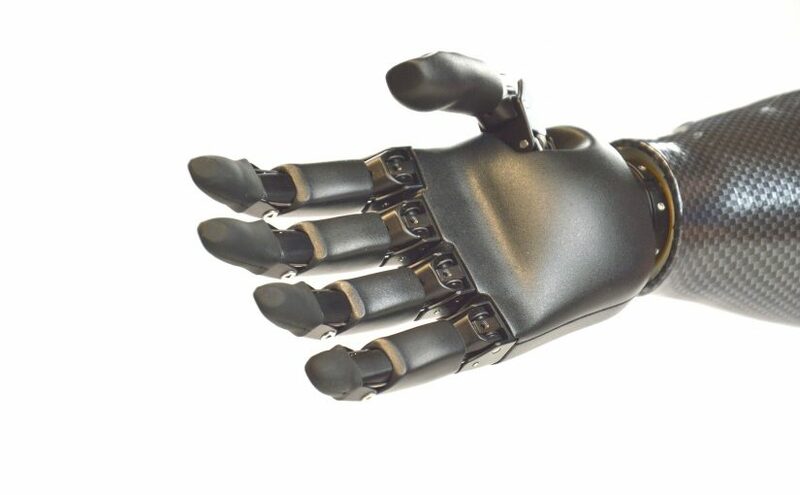 Versatility and flexibility is also possible; it is physically and financially feasible to design and fit devices that fit perfectly for an individual patient, such as an artificial hand. Many of the engineering software vendors provide invaluable software to make the job easier. Solidworks, a subsidiary of Dassault Systèmes, has developed and built a range of products which are available as a portfolio, that enable and support the medical product value chain from concept through to regulatory approval. While there are many vendors offering some or most of the software applications needed to produce 3D designs, run simulations and create bills of material, Solidworks claims to be the only company that provides a complete solution, as opposed to point solutions and PLM (product lifecycle management) software. The Solidworks Product Portfolio is a PDM (Product Development Management) solution, and they are confident that its contents will satisfy two critical success factors in medical device development; regulatory requirements and time to market. Parent company Dassault Systemes are recognised as the world leader in 3D systems, so much so that they call themselves the “3D Experience Company”, abbreviated to “3DS”. While the Portfolio offers every possible 3D engineering aid, from CAD to visualization and preparation for 3D printing, its real strength is in the documentation that it generates. Every step of the journey is recorded and traceable, which is vital if regulatory approval is to be granted. It is understandable that medical devices require far more rigorous testing and approval than most products, after all, a poor quality shoe may be uncomfortable and give you blisters, a sub-standard stent could kill you. 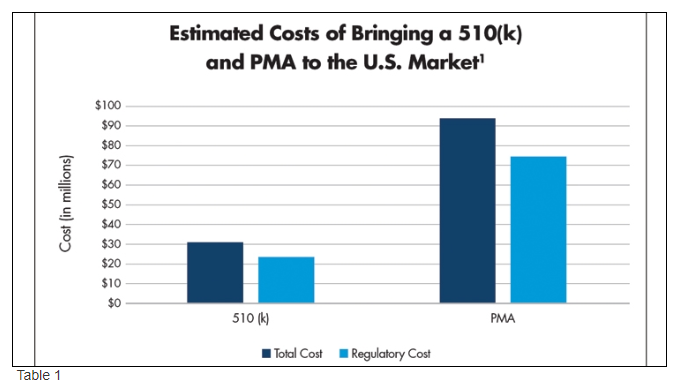 Although the average total cost for bringing a new medical device to market is much less than the $ 1 billion required for a new drug, the cost of regulation can be as high as 77% of the overall cost, especially when you are dealing with the FDA and the device is a Class III device. The FDA’s Class III device is regarded as high risk and is any device that needs to be inserted into the patient’s body, such as a hip replacement or a stent and requires a special and costly PMA (pre-market approval). A 510(k) approval for lower-risk devices takes just a big chunk out of the total product budget as illustrated below in a figure from an article in Medical Product Outsourcing Magazine, discussing a report published in 2010 by Price Waterhouse Coopers. The report examined the impact of regulation on new medical devices in the US and Europe. It was found that US patients would generally have to wait an extra two years after a device was approved in Europe before they would be able to benefit. One of the challenges in getting a PMA or a 501(k) is the compilation and presentation of all the relevant documentation to the FDA. This is where Solidworks offers a clear advantage, because every detail of the workflow is automatically recorded, from design to final prototype. Without this functionality, the R&D staff is tasked with compiling all the data from disparate systems. The manual overhead adds time to the project and is error-prone. Having all the necessary documentation collated and integrated saves many hours both in the lab and in negotiations with the FDA, bringing down costs as well. Many of these costs are salary related: approximately 1/3 of employees are tasked with quality control and adherence to regulations. Superior documentation should reduce the headcount required as well as reduce hours spent in compliance activities. Improved delivery times are also vital when it comes to competition. Despite the hurdles to be overcome with regulation and compliance, competition is fierce in the medical product world. So speed is of the essence, balanced with uncompromising quality. A single, integrated stream of applications that moves from concept through 3D rendering, iterative testing of the model using simulations such as FEA and CFD, as well as a comprehensive standard parts library, optimizes the time taken to get to approval and into the market. It is also possible to decompose the product into smaller parts and test them independently and then together, accelerating testing by simplifying what has to be tested, rather than deal with the entire product every time. The ability to customise a product for an individual patient is also simplified with the Driveworks application, which takes a pre-existing model and adjusts it according to a set of criteria specified by the engineer. Any competitor who is using a range of different products will find it difficult to match the speed to market that the Solidworks tools provide. While some medical devices require stainless steel for manufacture, plastic is used wherever possible. Plastic design is specialized and requires a specific toolset to design the plastic part to be manufacture-ready, for instance, when injection molding or 3D printing is required. As Dassault and Solidworks are experts in 3D modelling, they are the first choice for companies producing devices that can be printed on a 3D printer. One example of where 3D printing is a lifesaver is in the manufacture of devices that can be inserted in newborns with birth defects. One infant had a very soft windpipe that kept collapsing: a splint was designed and inserted to protect and strengthen the windpipe. Tensys Medical Inc attributed the use of Solidworks tools in shortening their design process by 60% when they designed a non-invasive arterial blood pressure management system. This enabled them to get their product out ahead of their competitors. Exoskeletons for assisting hemiplegics, paraplegics and quadriplegics to move independently are becoming a major subject of biomechanics. At Solidworks World 2018, Korean professor Kyoungchul Kong revealed 2 exoskeletons designed to assist his fellow-workers, one for paraplegics, called WalkON, and one for hemiplegics and people with walking difficulties called Angelegs. There are hundreds more examples of designs, ranging from more ergonomic pill bottles to artificial arteries, all of which have been designed using Solidworks tools. The cost of the software is easily recouped, whether it cuts down on regulatory costs, accelerates time to market, cuts down on prototyping via simulation, or all three. Licensing for all products can either be on a subscription or perpetual basis. There is also a 3-month subscription option available for some applications, specially tailored for small companies who need the products for a short-term project. The license management is provided by Flexera, and OpenLM can manage licenses for all all Solidworks products. License Renewal Time? Check if you really need it. 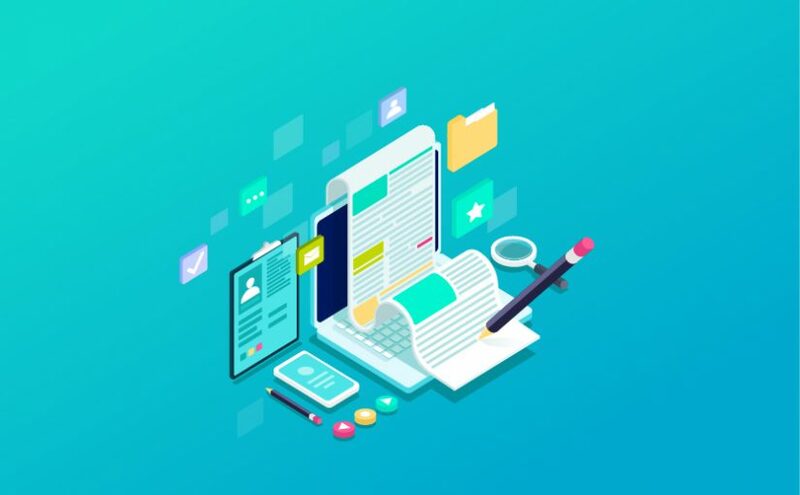 One of the main challenges of license management is the juggling act between carrying the minimum number of licenses to reduce costs while ensuring that your user base can work at maximum productivity with as few denials as possible. Here at OpenLM we believe that our standard reporting supplies all the information you need to keep your license pool lean and mean. 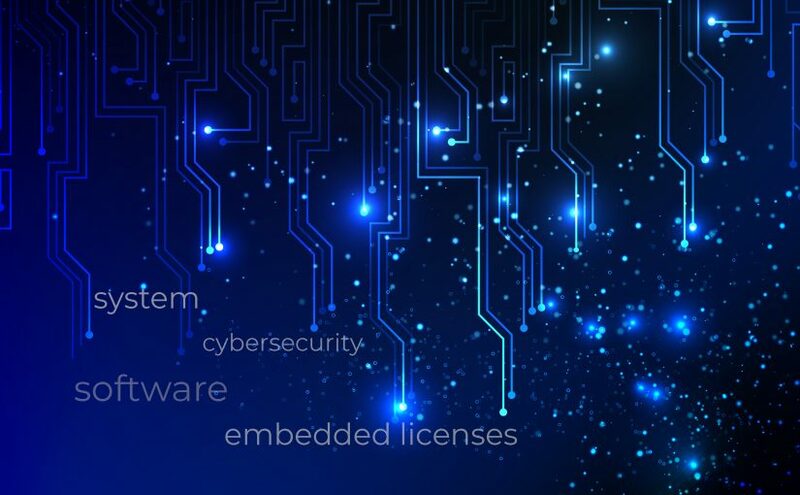 Most of our customers buy OpenLM because the license management software provided by the vendor, such as Autodesk, reports on licenses that are checked out of the network pool. What is not reported on is the efficiency with which these licenses are being used, in other words, how productive are the users? Customers say to us that they know intuitively that their license usage is not optimal, but that they have no way of confirming this with the vendor’s license management software. So, when an organization acquires OpenLM, they usually start off by monitoring license usage and whether there are surplus licenses. They can now identify idle licenses, that is licenses that have been booked out, but are not being used. These licenses can now be freed up for other users by “harvesting” them, suspending the user’s session and putting the license back in the pool. One of the ironies of license management for engineering software is that the IT business unit has to budget for the software licenses but does not actually use the software. With our software, it is possible to identify license usage by group or department and charge the costs back to where the software is actually being used. This usually results in further cost savings, because the manager of that group or department will be making sure that his users are economical when they book out licenses, because he is responsible for those costs. 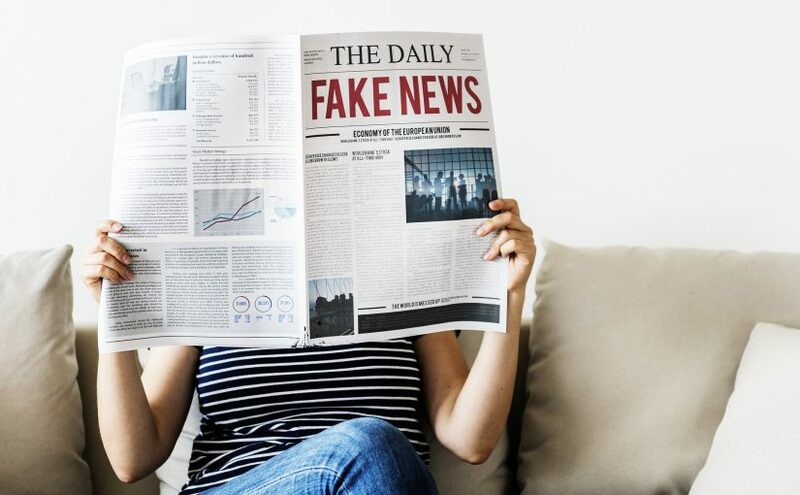 the number of “true” denials is increasing (a true denial is either one where a user repeatedly retries to book out a license with several attempts without success, despite the license manager accessing every server to find one. The situation where an attempt was denied but the next retry was successful, and the user and his work are not impacted is not counted as a “true” denial. For instance, if the license manager could not find an available license on the first server interrogated, but did find one on the second or subsequent server, this is not a true denial, because the impact was negligible). While our standard reporting provides useful input for the decision to acquire more licenses, we felt that there was place for a report to help decide whether new licenses are needed and how many. This new report has been added to our Reporting Hub extension. There are 3 sections to this report and you can select a wide range of filters to get different views. Along the bottom of the screen are time dimensions and to the left of the screen are software, user and workstation parameters. The reporting is granular down to software feature level, which is especially useful where additional license costs for advanced features are part of the license agreement. Let’s look at the report content. 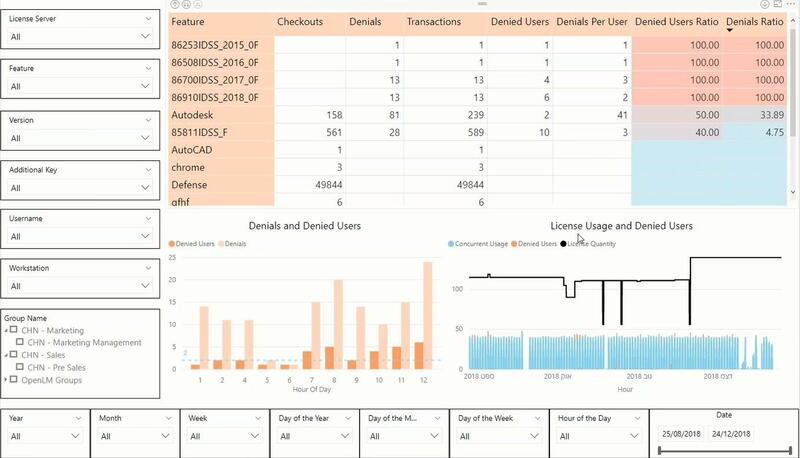 The report at the top of the screen gives statistics on each feature of the application, how often the feature was checked out and how many denials were encountered. It then analyses the denials and provides two denials ratios, the number of users denied and the number of denials. The features are ranked by the denials ratio in descending order. You will see that the feature at the top, “GMS4050_ufunc_exe” was never checked out, as every attempt was denied. This would be typical of a feature that was not purchased under the license agreement or a specialized feature that is only accessible by a select few users. 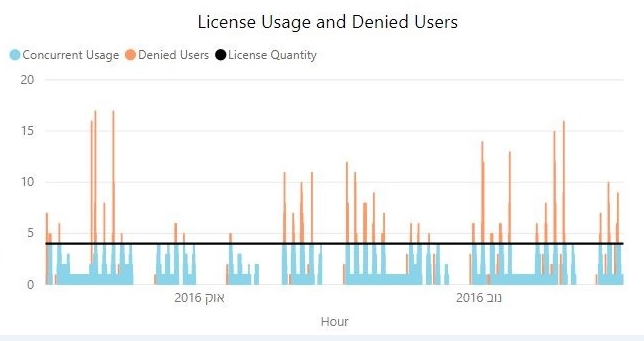 We can already see from the ratios that the comfort zone for this license pool has been exceeded and that more licenses are needed. 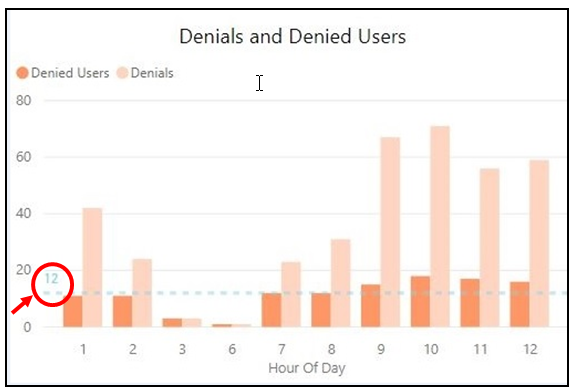 If we look at the graph at the bottom left-hand side, it shows us that the rate of denials is very high and that users are experiencing multiple denials, because the number of denials is up to 4 times the number of users. The value of “12” on the left-hand side of the report is the number of additional licenses required to get a better balance of supply and demand. There will still be some denials, but there will be a reduction of 80%, which gets us back to an acceptable ratio. Please contact us if you want to know more about the Reporting Hub or any of our other software products. “Over the years OpenLM has provided exceptional support and a product that has met my needs. I was approached by a competitor and have no idea how they discovered we are your customer but they knew. You can find the document sent to our customer in the following link. The paper was written by Guy D. Haas, BS, MBA, President, TeamEDA, Inc. While I got an advice to seek for a legal assistance we thought that we better let you judge. Unlike the writer of the paper we value our customers as being smart and professionals – not naive. The only cure we know for Fake news is Fact-checking and this is what we are going to do in this article. We are looking forward to getting your feedback about it. In total I collected 38 claims from the document and decided to stop at this point. All the claims that can be categories with Incorrect/Correct are shown in the following table. In total 3 out of the 38 claims are correct, in total 90% are incorrect claims. After the table I will discuss claims that can’t be categorized by a simple Incorrect/correct (you can skip to this part using this link). 7 OpenLM release new version 3-4 times a month Incorrect OpenLM transparently document each software release in our site and one can easily see that this is incorrect. 9 OpenLM customers are required to upgrade monthly Incorrect OpenLM customers get a very stable product and need to upgrade based on resolved issues/new functionality needed. OpenLM is using Agile development methods that allows us to provide fast response to customers. 17 OpenLM can’t support big companies with best practices Incorrect OpenLM has more than 1000 customers with thousands of employees. 10% of our customers are in the Fortune 1000 list. We also have prominent customers in the public sector and academia. 22 Harvesting an idle license is dangerous Incorrect The term “dangerous” does not seem to be valid here. Note that OpenLM provides the option to save before closing the application. 27 Installing OpenLM “open up your network, License Servers, and Workstations to a company in Israel?” Incorrect Installing OpenLM on-premise does not expose our customer’s information to us. Our software does not send anything outside the organization, and we respect all data privacy legislation globally. 34 .NET is only Windows Incorrect This claim is against Microsoft and inaccurate. The new version of .NET – .NET Core is platform independent and we are switching to it. 36 OpenLM does not have offices all over the world Incorrect OpenLM has physical offices in Israel and Europe. 37 OpenLM website links don’t go anywhere Incorrect We hate dead links with a passion and if you are unlucky enough to encounter one, on our site, please let us know! Stay tuned for the upcoming launch of our new even “more comprehensive” website ! OpenLM is a small Israeli company: The term small is relative, you can be small compared to another company. Yes, we are small compared to Apple. OpenLM is actually a group of three companies: OpenLM LTD, OpenLM Inc. and OPENLM SOFTWARE S.R.L.. The groups employ more than 40 workers worldwide at the time of writing this document, and we are currently expanding our workforce. OpenLM seems to cater to small naive companies: “Small” is relative and size is no indication of company expertise, skills and market share. Everyone has to start somewhere and we recognise and value our SME customers just as much as our large corporates. Our customers are also very worldly wise – naive companies would not be investing in license management software, as they understand the risks of compliance. We also provide services to the public sector, from local authorities to government entities, including US Defense bodies. Through our University Program, we have a strong academic customer base, with at least 20 of the global top 200 universities that we are delighted to have as customers, as this is where our customers of the future are being educated in the use of engineering and scientific software. As to size, we have customers who employ thousands of employees globally and whose brands are instantly recognizable. Not sure how long they are in business: OpenLM has been in business from 2009 as a company. The operation started 2 years before incorporation as a project within another company. As of 2019, we have been in the market for 12 years. Not sure if OpenLM is profitable: Thanks for your concern, we are doing well. OpenLM Agent is capable of monitoring keyboard, mouse and cpu, which degrades system performance – Any software that you might install on your workstation will degrade performance. Taking it to the extreme, if you don’t install anything, you will have the best performance and security but no functionality, so perhaps you should also turn off the power as well. Many of our customers decided to implement OpenLM Agent because of the value it brings to the table and they feel that any performance degradation (which is minimal) is worth it. By the way, OpenLM does not directly monitor keyboard, mouse activity. Idle license harvesting is intrusive/not legal/dangerous – There are many limitations that companies impose on their workers, and have written policies stating these limitations. They are not allowed to install any software they want, to access any site, to store content and more. The equipment of the company is dedicated to work and companies expect their employees to use it as such. Although these actions are intrusive most people agree they are reasonable. Our customers view the expensive engineering software as a company resource, that should be used as such. When it’s not in use, they expect it to be released to another user that needs it. This is a feature we support. It is not a default, it is up to the customer to implement it or not for one or more of their software applications. I assisted many companies to implement this functionality and most end users are thankful for implementing it, it improves the availability of the applications they need and saves money for their companies. Installing OpenLM Agent and harvesting idle licenses is legal and implemented by OpenLM customers worldwide. In Europe, Germany has the most restrictive legislation regarding user privacy and for them, we introduced a specific functionality that addresses any possible privacy concerns. Software release policy – OpenLM typically releases two major software releases per year. We do also release minor software releases based on new functionality and software issues we are resolving. Typically most software issues don’t affect every user and most users can skip a few releases and only install software releases that are relevant to them. Our quality system is constantly developing and consists of both automatic and manual testing. We also have a load testing infrastructure that allows us to mimic real customer loads up to 400 monitored license server ports, 25,000 concurrent users and query activity via the user interface. I think that a company that releases new versions of its software shows that it is constantly evolving and that it cares about its customers. In general, a software comparison written by a competitor himself is always biased so most users will read it carefully. OpenLM also drafted one as per the request of our customers but we did that with a very careful approach, consulting the competitor website and users. We always invite users to correct us if we are wrong, and immediately implement comments we receive. I invite you to examine the result. There is also another white paper from the same author comparing his software to FLEXnet for Engineering Applications. As a service I also share it with you. Before I summarize this long document I would like to refer to the main claim of the author of this white paper. When you buy expensive software you get high quality. Cheaper software will give you lower quality, functionality and performance. This is a very simplified view of the market, most people understand that pricing policies are much more complex and involve many different considerations. Most companies check the software offered to them, comparing functionality, performance and pricing and looking for the best ratio – value for money. It also applies to other fields as well, take Ikea as an example, you get very high quality items if you are willing to compromise on the uniqueness. When you do, you get the best value for your money. We in OpenLM, decided we would like to bring our technology to as many companies as possible, introducing a very aggressive pricing model. Mr. Haas is not the first competitor that complains about our policy, another competitor came to our offices and explained why he thinks this is not good for the market, and had an offer for us. We listened, discussed and decided to refuse but we have respect for this person and the company that he represents. I have nothing to say about author’s company or software. In general we prefer that the customer himself will do the evaluation and make the decision. I just have to mention that in 2013 he contacted us and asked our permission to use OpenLM Engine to extract the data from the license servers. His plan was to replace the engine he was using as white label until then. This deal did not happen but knowing this I was very surprised to read this document. Since we released the first version of OpenLM in 2007 we decided that we will allow everyone to download and install our software and let the best company win. Open a SaaS account with minimal install of OpenLM broker on the license server. OpenLM Support will provide full support during the evaluation process of the software. We are available to support you by email, chat and phone. I invite you to try our software and service and share your experience with the community. There is one claim that I fully agree with: by implementing a software assets management for your engineering licenses you can save 20% of your expenses, furthermore, some of our customers who also implemented some of the advanced functionality, like software harvesting, managed to save a lot more. Are you an OpenLM Customer? I will be grateful if you drop a response here. We are willing to get both positive and negative feedback and improve accordingly. If you prefer not to comment here our customer success representative will be happy to speak with you in person (click here to leave a message). Building Information Modelling, or BIM, seeks to break down the silos between all the participants engaged in the design and build of a building, by providing an integrated, virtual model of the structure in 3D. One of the main challenges in erecting a large commercial building is that there are so many players and different companies involved. 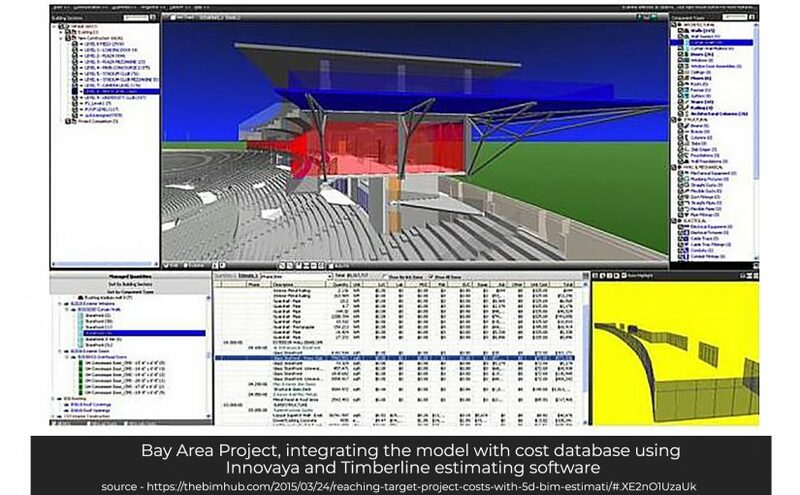 The software they use differs from company to company; the architects could be using Autodesk’s AutoCAD, while the structural engineers use Bentley Microstation. With the thousands of engineering software products out there, it is to be expected that this will occur, and it adds time and risk to any project. Any approach that promotes a common view of the structure for everyone working on it is to be welcomed. 3D BIM modelling is used, not only by the architects and structural engineers, but also by the MEP (mechanical, electrical and plumbing) engineers. Traditionally, MEP design is only incorporated into a building once the architectural and structural model is in place. Conduits for cabling and wiring and ventilation shafts are included in the architectural drawings, but whether they are adequate or suitable for the MEP engineering is often only found out once construction is underway. If there are problems, the participants have to go back to the drawing boards (literally) to accommodate any MEP design such as the HVAC system. Using a BIM model enables the MEP engineers to sort out any problems before the first foundation is poured or the first brick is laid. While this approach is a great improvement on traditional CAD design, and provides a common virtual platform for collaboration (the CDE or Common Data Environment), more was needed and extra dimensions were added to the model, resulting in 4D, 5D, 6D and even 7D, with each dimension enriching the model and enabling better delivery within time and budget. Although 4D and 5D BIM are clearly defined, there are different schools of thought as to what constitutes 6D and 7D, and we have taken the approach that 6D is about “greening” the building, its sustainability and energy efficiency, while 7D focuses on lifecycle management. 3D BIM is the anchor and the focus for everyone who has a role in taking the building from concept to completion. Once the building is completed, the BIM takes over the maintenance and lifecycle management responsibility. The model is constantly updated and refreshed to ensure that maintenance is proactive rather than reactive. The power of having a 3D model of the building at concept stage is in the opportunity it offers to everyone to check and test that their contribution to the project is integrated and does not clash or collide with other parts of the design. If there is a conflict, this can be resolved before construction and not in mid-stream. If there is a requirement that must be changed due to one or more conflicts as mentioned above, it may impact the project schedule. An unexpected delay because of some relatively minor structural problem can have a domino effect, affecting the start date for the various MEP companies, drywall contractors and shopfitters. To integrate the project schedule within the BIM added another dimension, 4D. The transparency that 4D adds to the model enables participants firstly to be aware of how they are impacted and secondly to be able to suggest mitigations and alternatives that will prevent the project falling behind. 5D BIM – What are the Costs? Changes to the schedule imply that there will be additional costs. 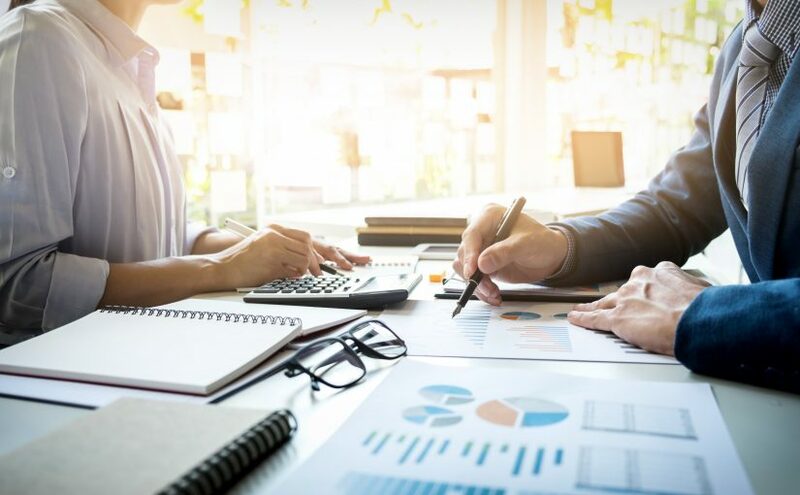 It makes sense to integrate both the estimated and actual costs as well as the history of all changes applied to both the estimates and actuals. This has given rise to 5D BIM. It is also useful for assessing different scenarios, for instance if there was a delay in the project which has resulted in the original lighting contractor being fully committed to another project, determining alternative contractors and comparing proposals/quotations. One might argue that 4D and 5D BIM are catered for by project management, however, with large projects it can happen that certain activities or scope changes are overlooked, which should not happen when they are integrated into the building model. Any engineer who has worked on a very large project will empathise with this; a typical example was where a dam was being built and there were three project teams monitoring the project on Primavera, Microsoft Project and Excel. Depending on which plan you consulted, the project was running at a $5 million loss, breaking even or making a $7 million profit, and each team was adamant that they were using the same data. We are all aware of the pressures we are exerting on our planet’s limited resources, and the focus in this century is on long-term sustainability over short-term gain. Old buildings need to be retrofitted to minimize energy consumption and collect waste heat; Europe has many of these projects running under the aegis of the European Commission. New buildings need to be designed and built to be as energy-efficient as possible. The goal is to obtain LEED (Leadership in Energy and Environmental Design) certification, or at least build in conformance with LEED requirements.6D BIM is both about the original design and about maintenance going forward, which introduces the final (up to now) dimension of 7D BIM. Armed with similar information for every aspect of the built environment, the facilities manager can manage the building efficiently, scheduling required service visits, keeping a watchful eye on products that are reaching the end of their useful life and attending to the day-to-day issues that ensure he is never idle. Can one Justify Adopting BIM? As can be inferred from the many dimensions of BIM, there is a path to BIM maturity, and it is a long journey. 3D BIM is achievable; it may require purchasing or upgrading to another product in your current vendor’s portfolio, for instance, moving from Bentley Microstation to AECOsim Building designer, or from AutoCAD to Revit. This change brings a learning curve and resistance to change, but the benefits outweigh the disruption and costs. Moving up the curve to 4D and 5D BIM can then be contemplated once 3D BIM is in place. It is not an easy path for any company to successfully adopt and use 5D BIM, and some of the prerequisites are integrating the different technologies and software, acquiring and learning how to use some of the BIM software and, most difficult of all, accepting the change in approach. There are substantial costs to be incurred and plenty of teething problems, but once mastered, overruns, rework and other problems that plague the AEC industries, and the risks they bring, are considerably reduced, if not completely eliminated. McKinsey cites 5D BIM as one of the 5 biggest disruptors of the construction industry, along with the Internet of Things and predictive analytics. They pointed out in a 2016 article that large construction projects typically are up to 80% over budget and take 20% longer to complete than original estimates. They also note that productivity in the AEC sector has been declining rather than improving. Working collaboratively will reduce both risk and uncertainty for architects, engineers and those commissioning the buildings. There is no doubt that BIM is the way to go, all it takes is convincing the executive to take the risk and provide for the additional costs to be incurred. It is important to recognise that this is a change in thinking, not a software buying spree – there is no single vendor that has all the answers for all the dimensions of BIM.